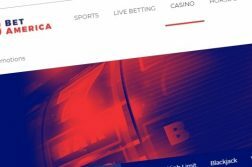 Which NJ Online Casino Games Paid Out The Largest Jackpots In 2018? The NJ online gambling industry once again broke its all-time revenue record in 2018, raking in over $50 million more than it did the previous year, for a grand total of nearly $300 million. But it wasn’t only the casino operators tasting the spoils. Last year also saw large jackpot payments to players nearly double, with lucky patrons banking over $7.3 million in one-off wins over $50,000. It’s therefore no surprise that slots were also responsible for the top five biggest wins of the year, with the first four coming from progressives and the fifth from a traditional machine boasting a hefty static jackpot. In 2014, the first full year online jackpot slots were available in the Garden State, casinos paid out nearly $2.3 million total in one-off wins. That number dropped to its lowest point in 2016, when a little more than half-a-million dollars was paid out. It jumped back up the following year to $3.7 million, mostly due to the introduction of the popular NetEnt progressive, Divine Fortune. Three of the top five payouts of 2018 are linked to the Greek God-themed Divine Fortune, which is offered at a number of NJ online casinos. The game’s developers have captivated gamblers by striking the perfect balance between hit frequency, jackpot size, and fun factor. The Divine Fortune algorithm allows the jackpot to consistently grow to over six figures before being activated, but rarely too high, which keeps the top prize from seeming unattainable. 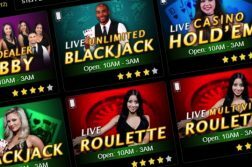 Even though the game is hosted by a number of iGaming sites, its jackpot is rarely pooled between casinos, with each site running its own individual instance of the game. In total, the slot paid out over $2.3 million in 2018, making up the largest slice of the $3.4 million in total jackpot slot payments for the year. Of that bloated figure, over $500,000 was won playing the mobile version of the game, which is available for iOS and Android devices. 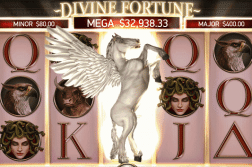 As mentioned above, Divine Fortune tops the list in terms of frequency and total size of jackpot payouts. Gods of Gold, available at 888 and Harrah’s, shot up to second-place due to a massive $687,786 score, which a gambler had the pleasure of hitting in June. The others on the list hit several times throughout the year for more modest amounts. 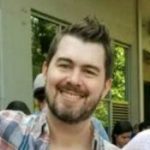 Those looking to grab a large chunk of change themselves might want to look at which sites shelled out the most in large jackpots all around last year. Golden Nugget, the highest grossing NJ gambling site licensee, paid out the most through its branded site ($2.3 million), with its partners Betfair and Play SugarHouse paying $1.3 million and $1.2 million, respectively. While Divine Fortune may have found the Goldilocks zone in terms of payout frequency, machines linked to the Borgata Big Series jackpot have done just the opposite. That pool now stands at $2.7 million, $400,000 more than it boasted when we wrote our year-end jackpot report for 2017. It’s a massive amount, to be sure, but when you consider that it hasn’t been hit since 2015, it starts to lose its appeal. The network, which is comprised of several slots, including Going Nuts, Loot’EnKhamun, and Melon Madness failed to release its riches last year, and continues its slow and steady climb higher and higher. Players with a masochistic streak can take a shot at the stubborn slot at not just Borgata, but also at partner sites playMGM and Party Casino. Borgata’s other jackpot network, Ca$h Fla$h, is much more player friendly, but hits almost too frequently to be interesting. Ca$h Fla$h is similarly fed by several machines, but always seems to pop somewhere in the low four-figures. All that said, the Big Series jackpot has to hit someday – will 2019 be the year?